We made some awesome cookies today!!!🐣👍🏻👍🏻👍🏻P.S. the heart in the middle was called feathering. 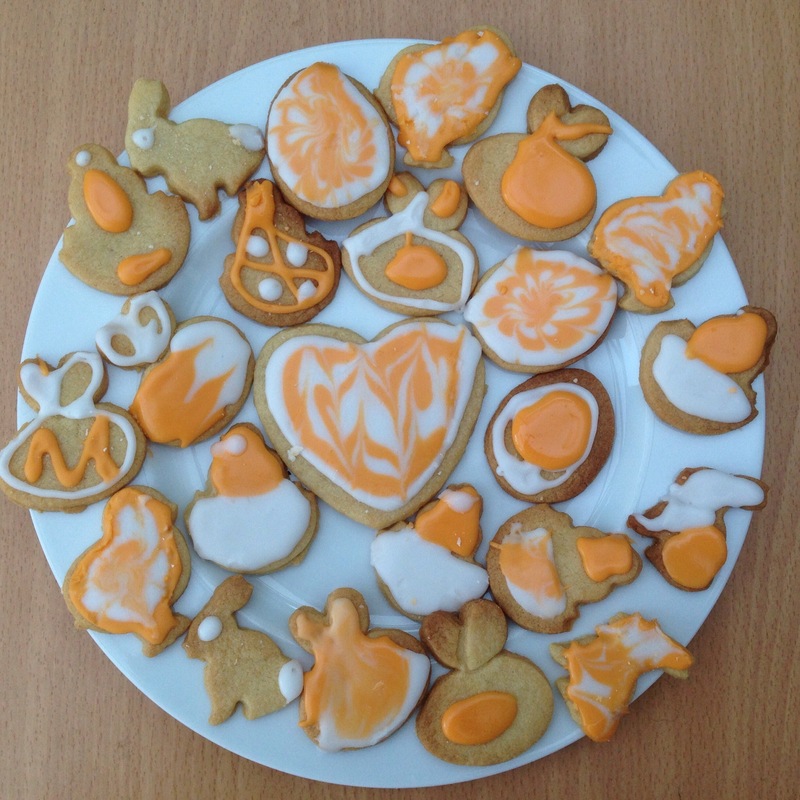 icing sugar with lemon extract; orange extract & orange food colouring to decorate. 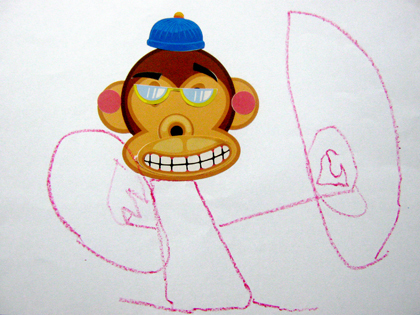 D: He’s called Funny Monkey, because he looks so funny. There’s his body and there’s his hands. He’s holding a biscuit in both of his hands – how cheeky is that? !